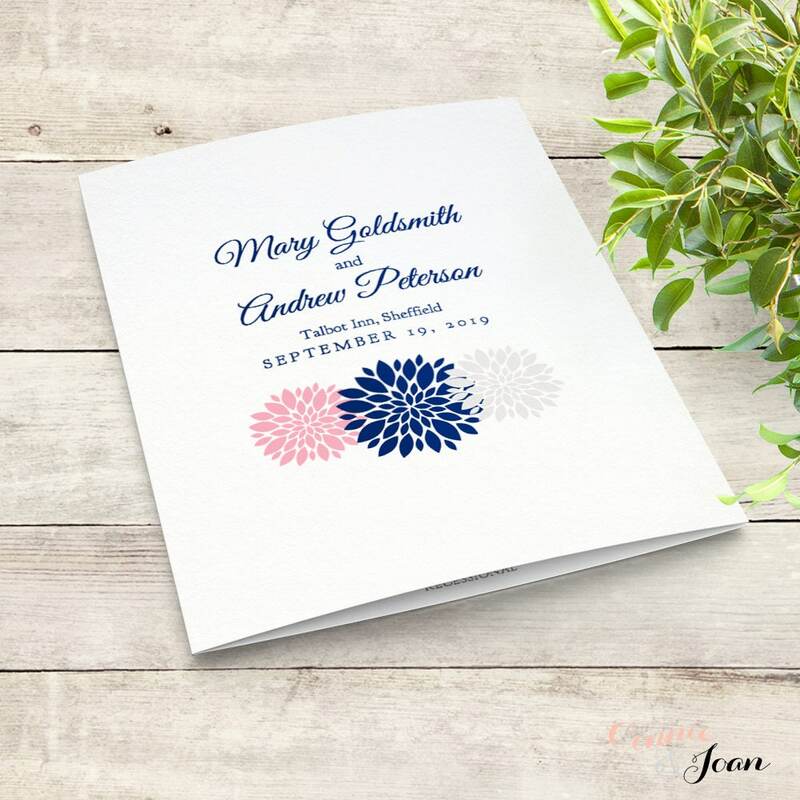 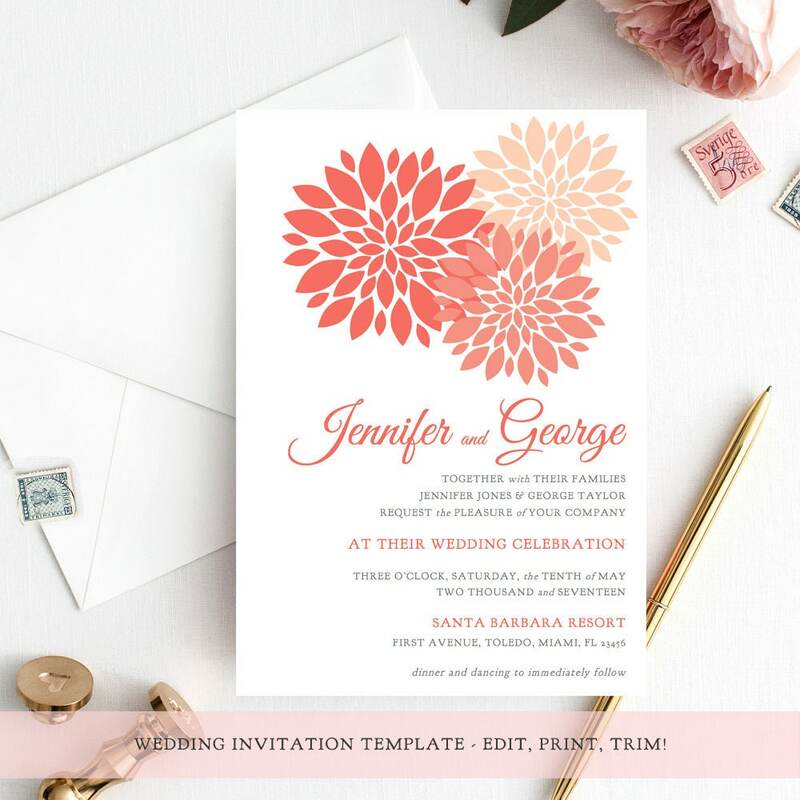 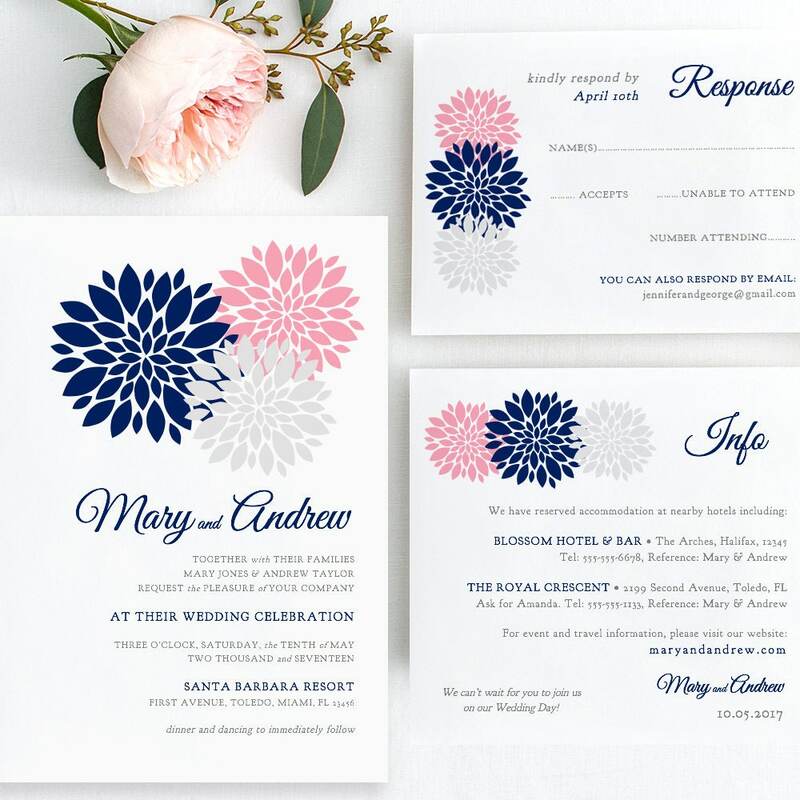 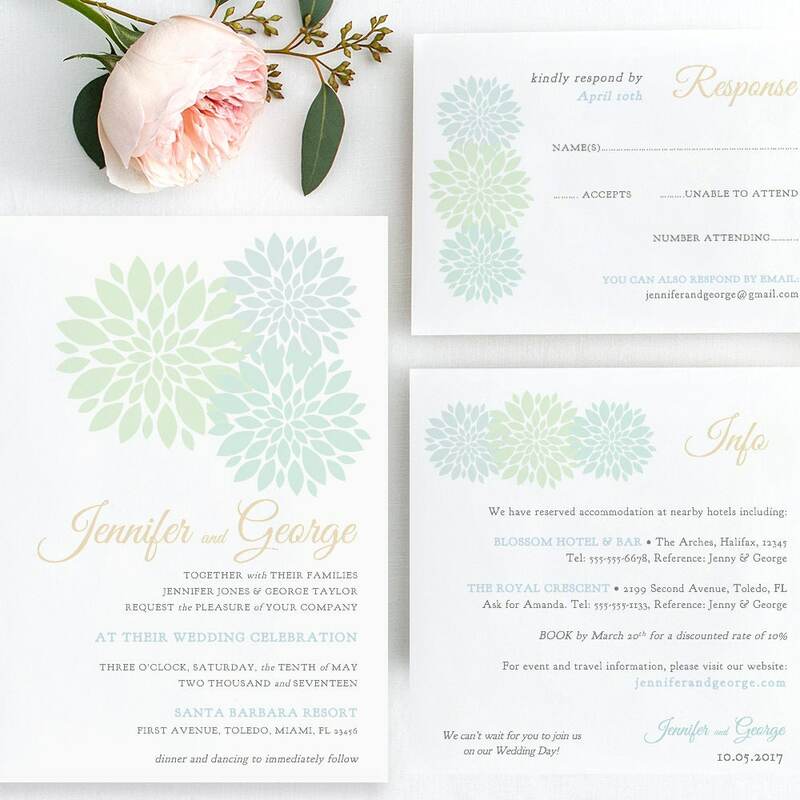 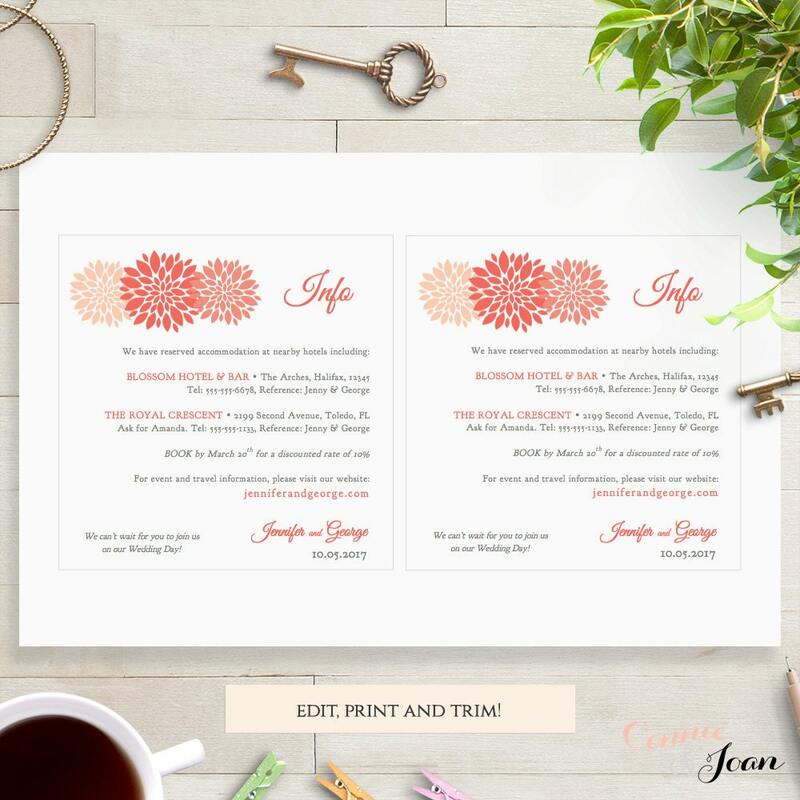 Coral wedding invitation printable template. 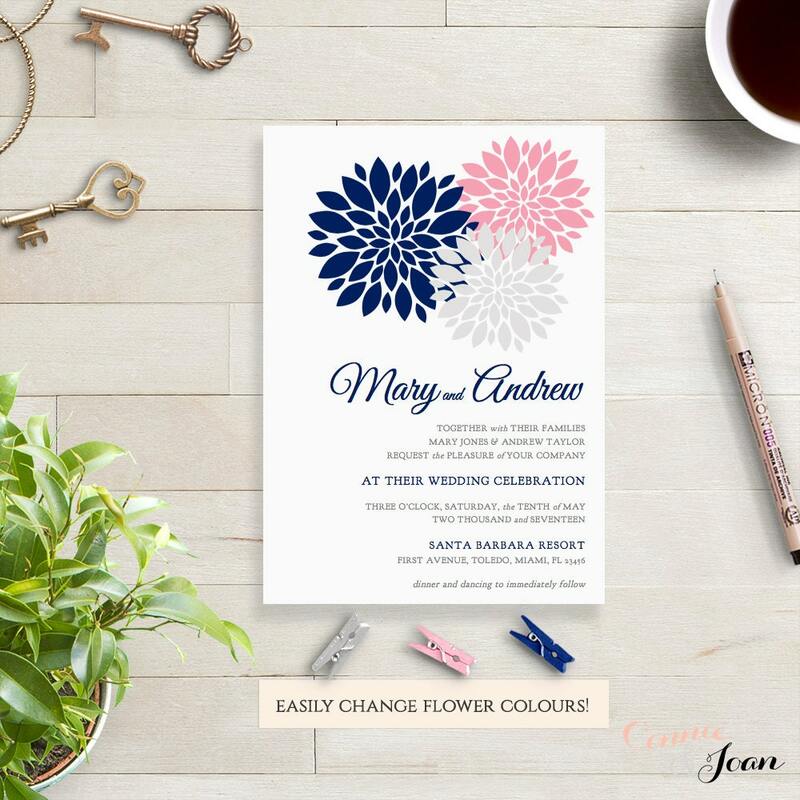 'Flowers'. 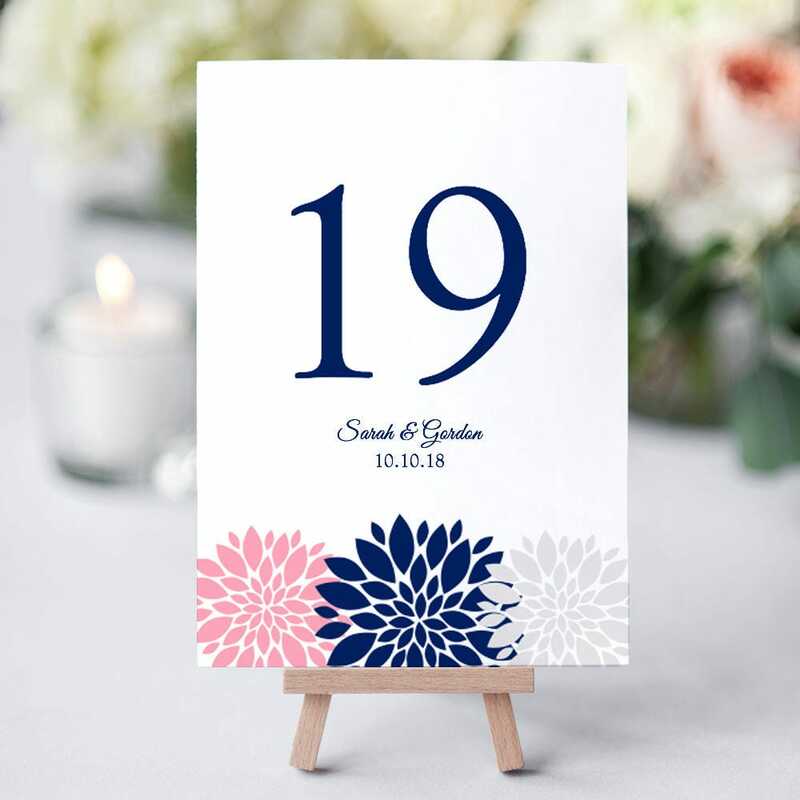 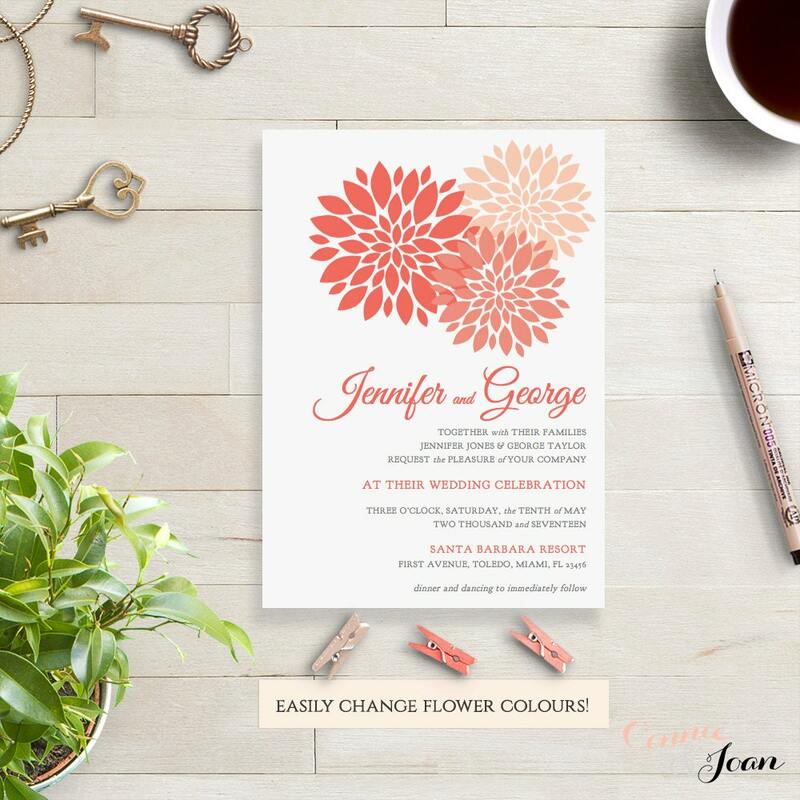 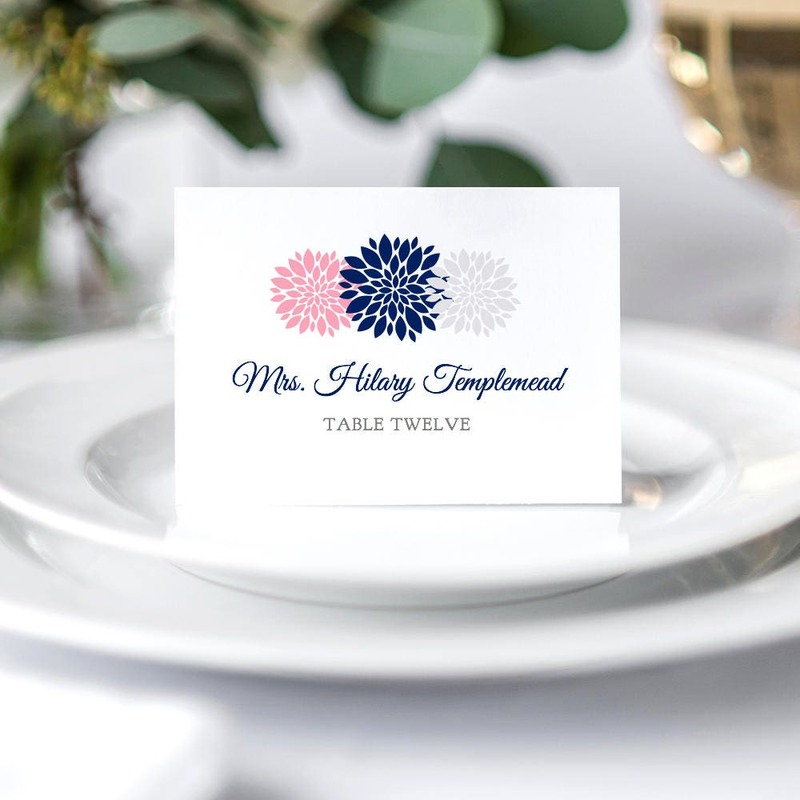 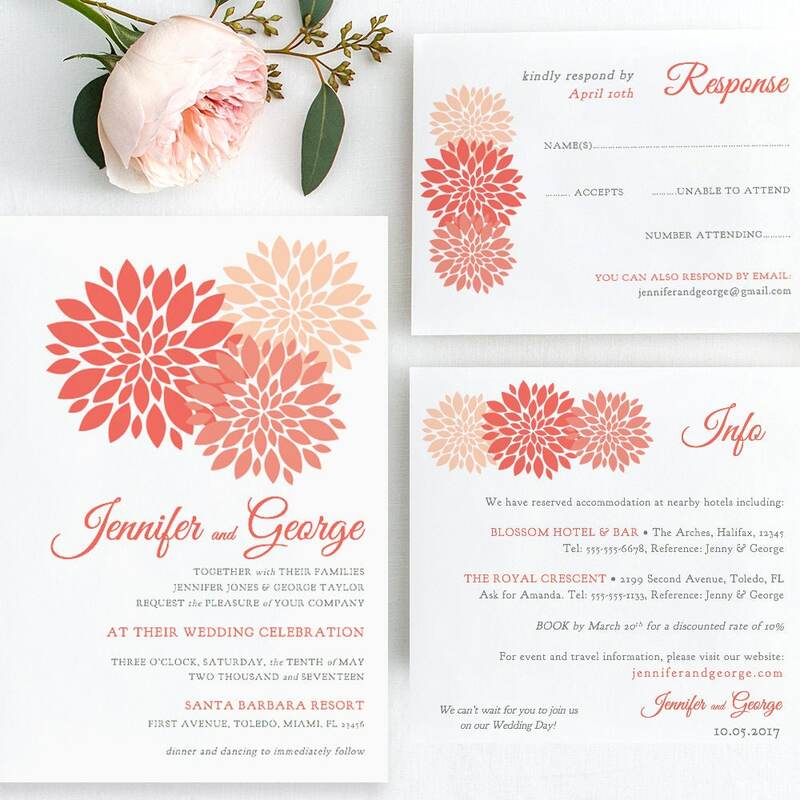 Printable Wedding Invitation in coral but you can easily change all the flower colours and text colours.